Homer called it a divine substance. Plato described it as especially dear to the gods. 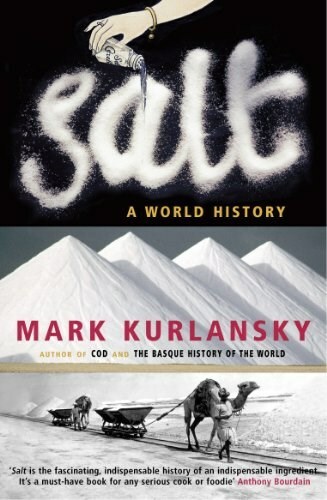 As Mark Kurlansky so brilliantly relates here, salt has shaped civilization from the beginning, and its story is a glittering often surprising part of the history of mankind. So valuable that it has often served as currency and still does in places today, salt inspired the earliest trade routes across unknown oceans and the remotest deserts. Wars have been fought over salt, and while salt taxes secured empires across Europe and Asia, they have also inspired revolution - Gandhi's salt march in 1930 began the overthrow of British rule in India. From the rural Sichuan province where the last home-made soya sauce is made to the Cheshire brine springs that supplied salt around the globe, Mark Kurlansky has produced a kaleidoscope of world history, a multilayered masterpiece that blends political, commercial, scientific, religious and culinary records into a rich and memorable tale.